DURHAM, North Carolina (WTVD) -- It was just Tuesday that Duke basketball emailed out the itinerary for its upcoming trip to the Dominican Republic. Two days later - the trip is off. The reason? 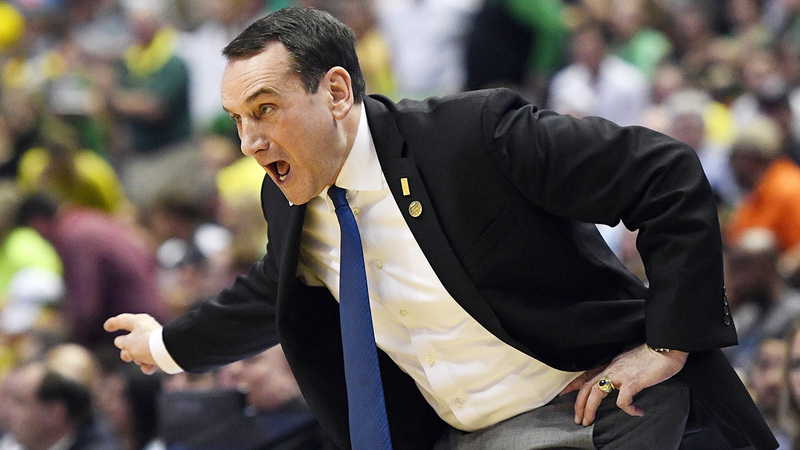 Mike Krzyzewski's right knee needs to be replaced. Krzyzewski said in a recorded video message that he could have labored through the Dominican trip, but that would've set him back in preparation for the regular season. "After three consecutive days of working with the team, it became clear that the condition of my knee wouldn't be sustainable through next season," Krzyzewski said. "The best course of action is to correct the problem now rather than later, when our team would be more profoundly impacted." Duke had held three practices so far in advance of the trip. The NCAA allows 10 when preparing to take a foreign trip. The remaining seven practices have now been scrapped. It's clear that Krzyzewski's mental zeal for coaching hasn't dimmed in the least at age 70, but his body doesn't seem to be in on the deal. Just since last year, he's had surgeries to replace his left knee, as well as back and ankle operations. Krzyzewski had hip replacements in 1999 and 2002. His troubles with chronic pain began back in 1994, which led to his first back surgery. Each time he has returned. "I'm anxious to do it," Krzyzewski said of the surgery. "I think we have a really good group of youngsters and they deserve me to be at my best for them because, for those three days of working with them, they certainly were giving me their best." Duke figures to be among the national title favorites again this season. The Blue Devils are still waiting to hear from uber-recruit Marvin Bagley. If they land him, they'd almost certainly be the preseason No. 1 team in the country. Krzyzewski holds a Division I men's record 1,071 career wins and has five NCAA championships.